Governor Charlie Baker has appointed an 18-member transportation panel after a report last year suggested Massachusetts is not financially prepared for changes to the climate and how people get around. An 18-member panel appointed by Governor Charlie Baker will study the state’s future transportation needs, after a report last year suggested Massachusetts is not financially prepared for changes to the climate and how people get around. ■ How self-driving cars and on-demand transportation services like Uber and Lyft will affect Massachusetts and its public transportation systems. 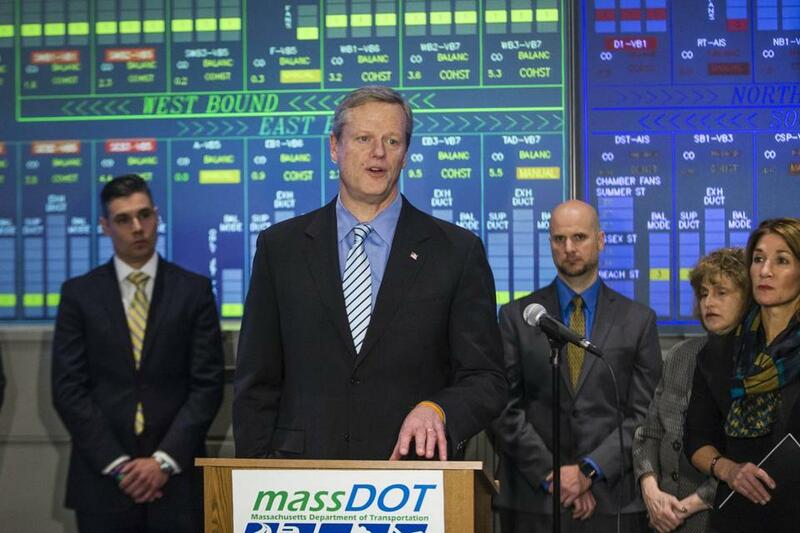 “This commission will advise our administration on the future of transportation in Massachusetts that sensibly accounts for impending disruptions due to changes in technology, climate, demographics, and more,” Baker said in a statement. The panel will be chaired by Steven Kadish, Baker’s former chief of staff. Other members include transportation planning professionals, climate scientists, academics, and industry officials. One member of the new commission, Eileen McAnneny, is the president of the Massachusetts Taxpayers Foundation, a business-backed watchdog group. Last fall, the group published a report that called on the state to incorporate climate change into its planning, it would risk “exposing our transportation systems to potentially catastrophic damage or investing in obsolete assets.” The report also said the state could see lowered transportation-related revenue if electric-powered vehicles and ride-hailing services lead to lower gas tax collections and fees associated with car ownership. Shortly after the report was released, the Baker administration said it would form the commission. It was unveiled Tuesday when the Republican governor signed an executive order establishing the commission. Rafael Mares, a climate and transit advocate with the Conservation Law Foundation, celebrated the launch of the commission. But it will only be valuable if it “ends up in a blueprint, a vision and a plan for the Commonwealth that can actually be implemented,” including funding sources, he said. Some of the commission’s work might replicate or align with ongoing efforts at the state Department of Transportation and the MBTA, such as committees studying driverless vehicles and ride-hailing services, and the T’s long-term investment plan, which is expected to be released this year. Additionally, Transportation Secretary Stephanie Pollack has said in recent months that the state must find ways to lower transportation-related emissions.